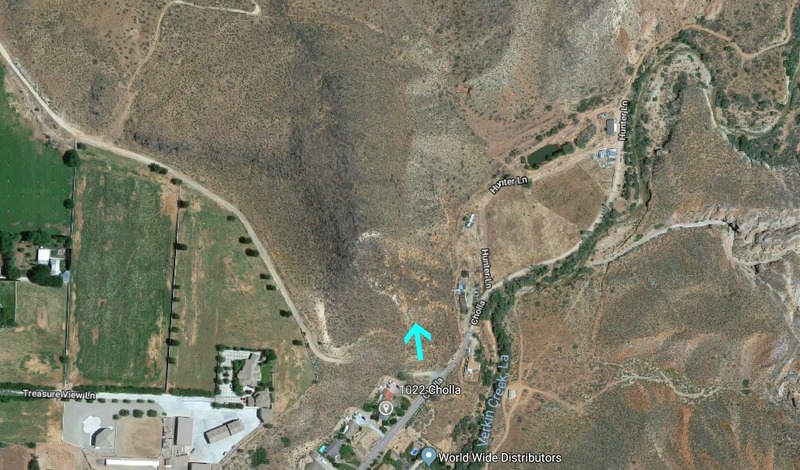 ST. GEORGE — The body of a man was found in the Cholla Creek area on the outskirts of Toquerville Sunday after a passerby called 911 to report the discovery. At about 5 p.m. sheriff’s personnel responded to investigate and found the body of a white male in his late 30s that had been there for “some time,” Washington County Sheriff’s Sgt. Nate Abbott said. The remains, located on a remote stretch of BLM-managed land, did not appear to be in an advanced state of decomposition. Detectives called out Washington County Search and Rescue to assist in the recovery process because of the rugged terrain and remoteness of the area, which could only be accessed using all-terrain vehicles. The remains were transported to the Utah Office of the Medical Examiner in Salt Lake City for identification and autopsy to determine the cause of death. “There were no visible signs of trauma and no foul play is suspected at this point, but we still don’t know what caused the man to end up out there where he did,” Abbott said. The man did not appear to live in the area, and detectives are still working on family notifications as this report publishes, Abbott said.